New Peachy Keen Challenge !!! Yep that's right a brand new Peachy Keen Challenge this week !!! This one is right up my alley, create a project using Peachy Keen Stamps and have it hold candy !!! 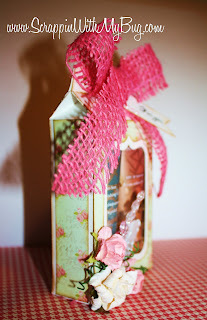 I created this box with a Silhouette cut file, then made a bigger one so I could overlay the patterned paper. 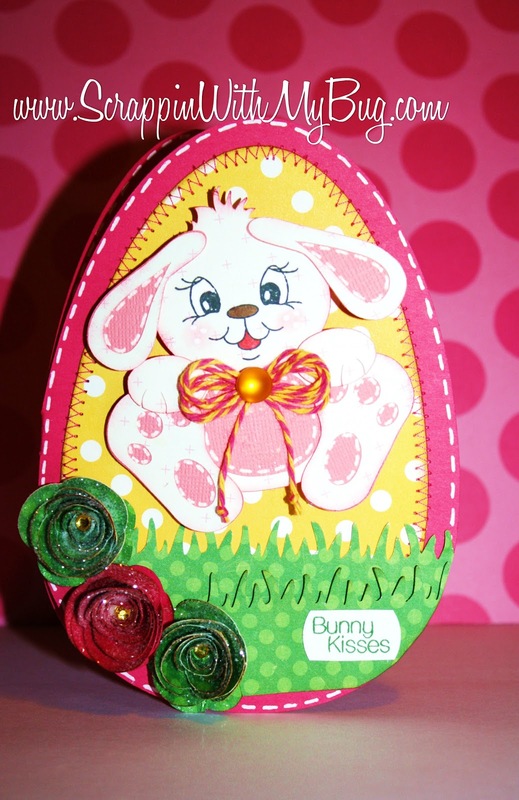 This cute bunny is from the Silhouette store and is on a wobble which I got from Peachy Keen. and of course the freaking cute Peachy Keen face. 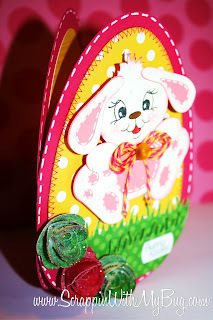 Make sure you "hop" over to the Peachy Keen Challenge Blog and enter in this weeks FUN challenge!!! I had to hurry before I ate all the candy...LOL !!! For following me and liking the work that I put out there. Because this is for my followers you will have to be a follower, and leave me a comment on THIS post. Thank you so much for helping me celebrate 2000 !!!!!!!!!!!! WOW I cant believe it!!! 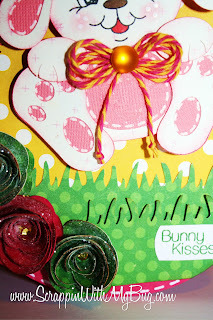 Today's is my Peachy Keen day and I wanted to share with you a card I made!!! 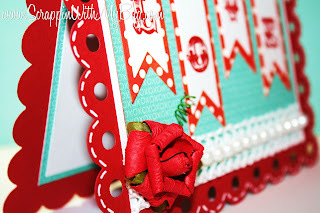 the March SOTM PKSC-03 for the Happy Birthday Sentiment !! 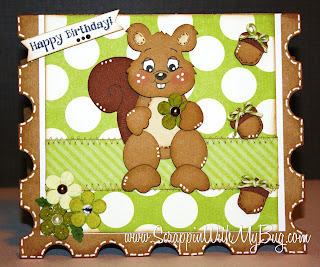 paper piecing kit for the squirrel and nuts. 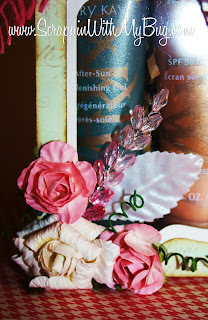 With Echo Park paper, twine, my sewing machine and flowers. I hope you enjoyed this card and thanks so much for stoppin by my blog !!! 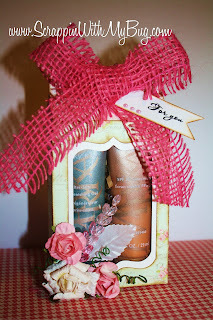 I Love creating 3D things with my Cameo so I made a box from the Silhouette store then cut it slightly bigger with patterned paper (London Market) to layer it. 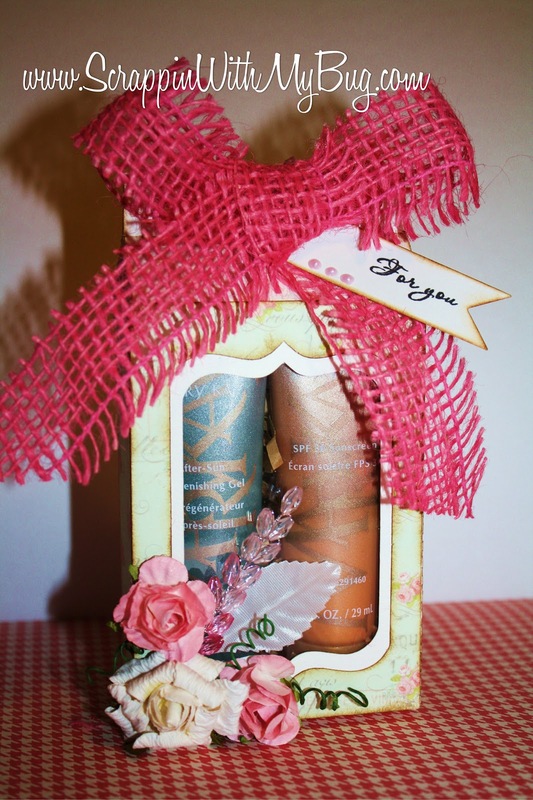 I used acetate in the window and put some Mary Kay sun products inside for a gift. Love the flowers and embellishments from Pro 31 so pretty! How AWESOME is that for blog candy? !!! Your next stop on the hop is Nancy !! THANK YOU FOR STOPPING BY !!!! 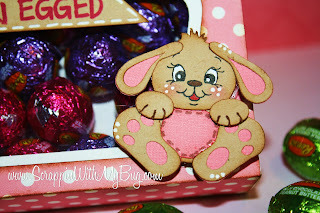 I used Lotsa goodies.... 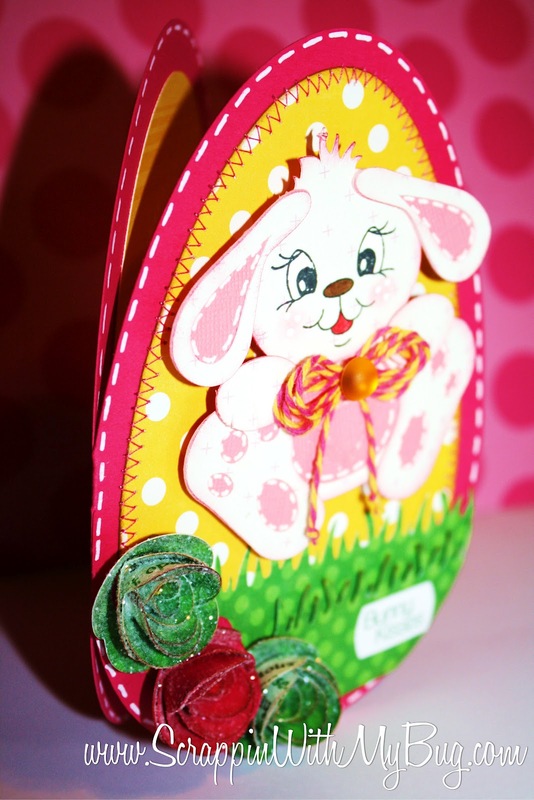 Jaded Blossom Easter stamps, Peachy Keen Stamps Cute & Cuddly PK-440 and wobble, Timeless twine in Raspberry Lemonade (for the challenge! ), the Art Philosophy Cricut cart and a Silhouette cut file for the Bunny !!! 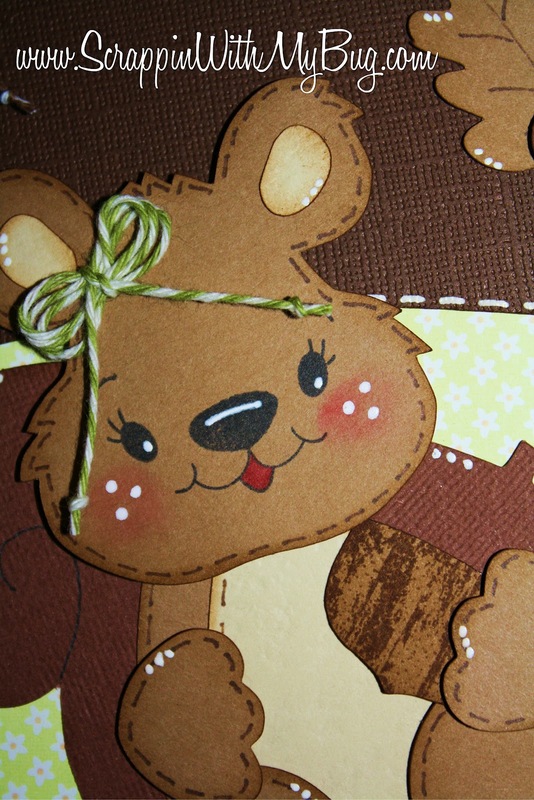 I used my sewing machine to give it extra detail and super cute Echo Park paper! I wanted to share with you a lollipop favor I made, these could soooo be a wedding favor!!! I used a yummy See's candy lollipop ! So who is the winner of these GORGEOUS flowers ???? 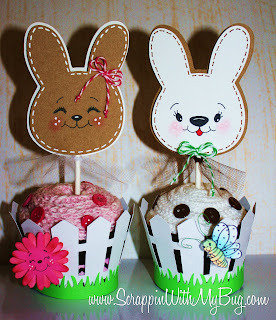 Are you getting ready for Easter??? 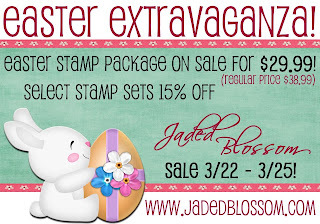 Jaded Blossom is having a sale starting today !!! Pro 31 DT Kit and giveaway !!! I wanted to share with you a quick video I made of some Yummy things I received in my design team kit and purchased from Pro 31 Designs !!! If you follow me on facebook I announced I was doing a giveaway today of these gorgeous flowers !!! These were donated by Pro 31 Designs so thank you Esmeralda !!! So how do you win these??? That simple you have till Thursday night at 9 pm !!! Check back on this Friday to see if you won !! 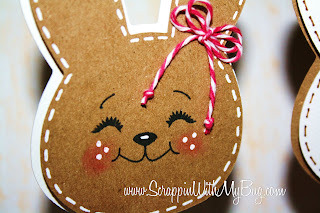 If you just came from Abby's blog then you are in the right place! I used the "Bunch of Nuts" pattern to create this wall hanging. 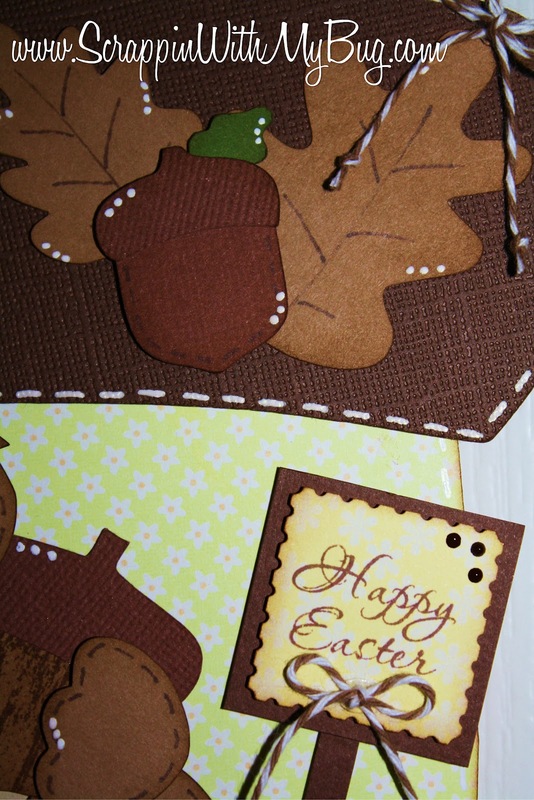 All the cuts except for the Easter sign are from this file ! 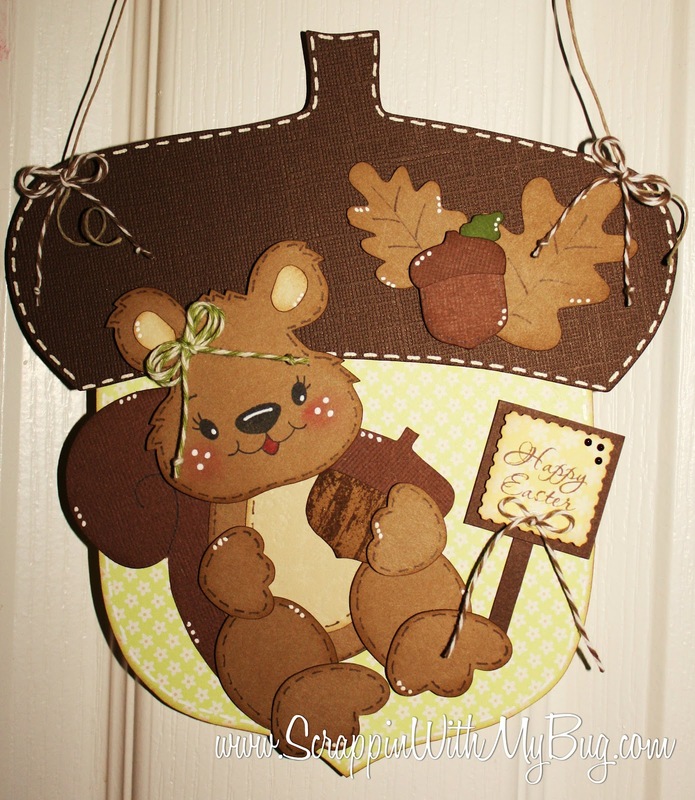 I also used Peachy Keen XL Critter face stamps, various twine and a Unity background stamp for the large acorn. 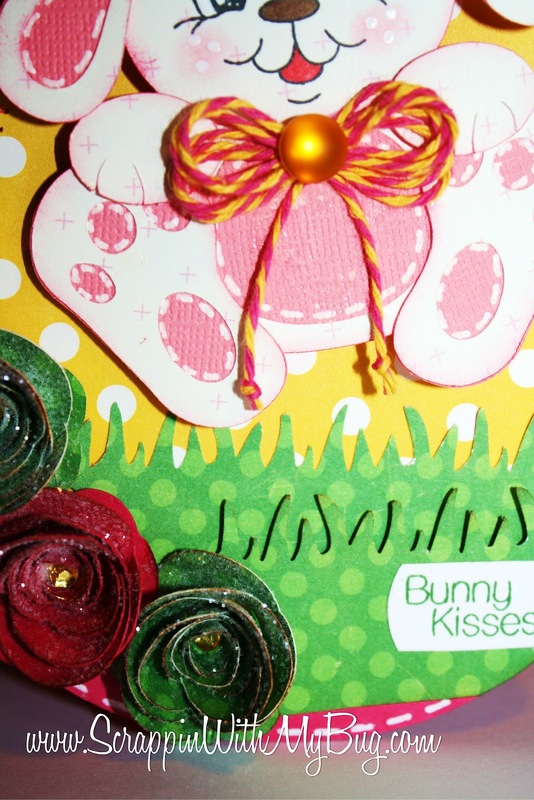 The Easter sign I cut by hand, used a SU punch and a Jaded Blossom sentiment. Thanks so much !!! 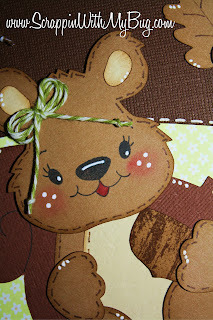 Remember to comment and follow the blogs to win a $25 gift certificate to the Stinkin cute Paper Piecing company !!! Your next stop on the hop is my friend Jamie !!!! 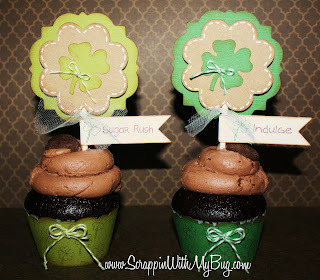 Its almost St. Patrick's Day so I thought I'd share a sweet treat with you. I used these clear boxes from Jaded Blossom !!! 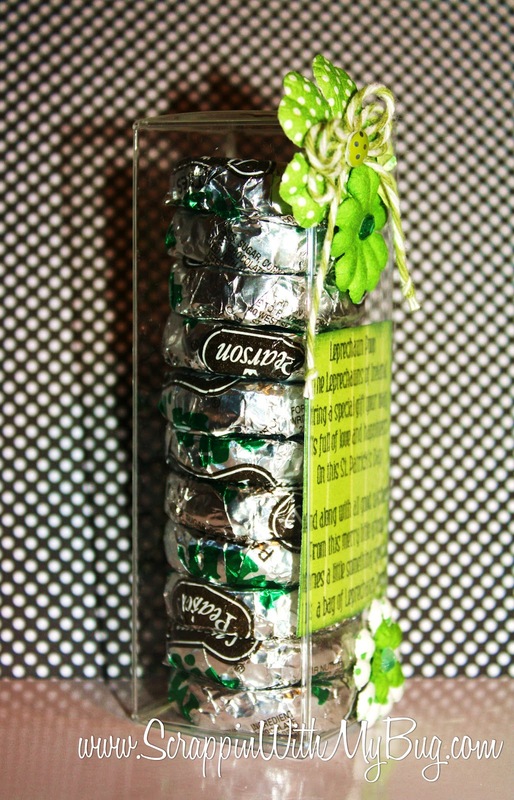 They are amazing and you can get soooo much candy in them. I got 11 mint patties in this box !!! Of course you can use ANY candy though. 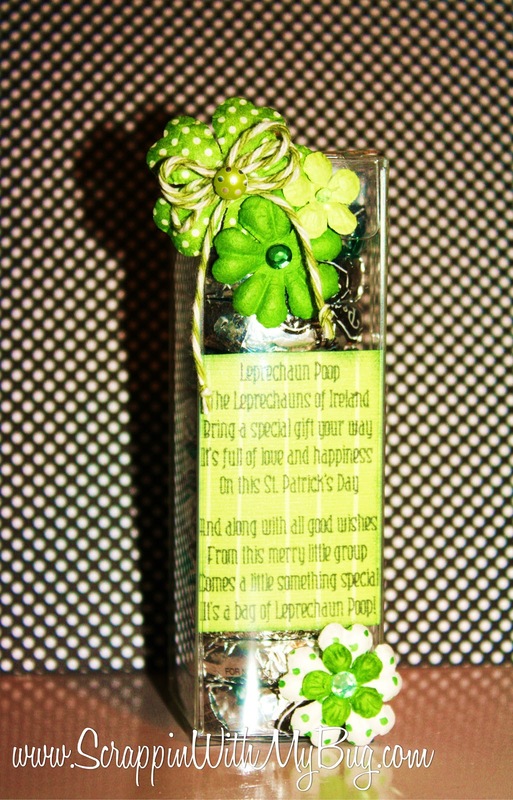 I also used the "Leprechaun Poop" poem from the Luck of the Irish set from Jaded Blossom as well!!! 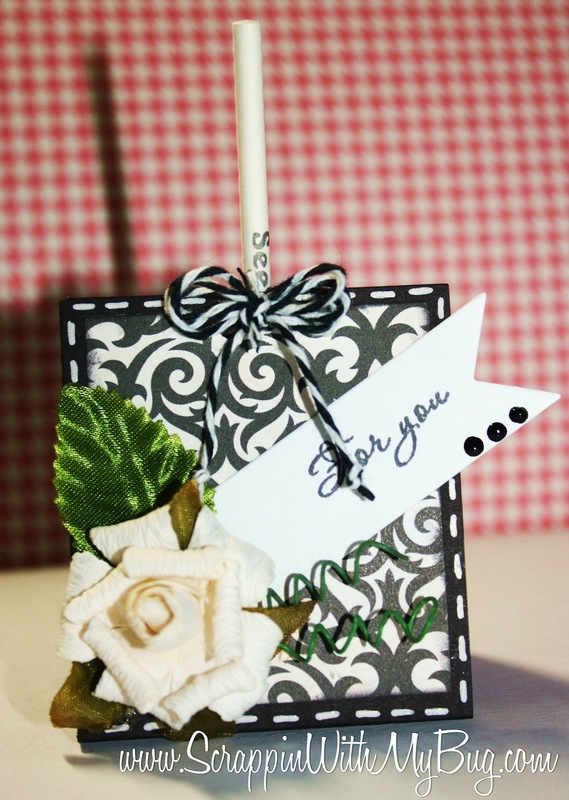 Then just topped it off with some flowers and twine !!! Look at all the yummy candy !!!! Thanks for stoppin by !!! Its a FUN Peachy Keen challenge because you get to make whatever you want !!!! 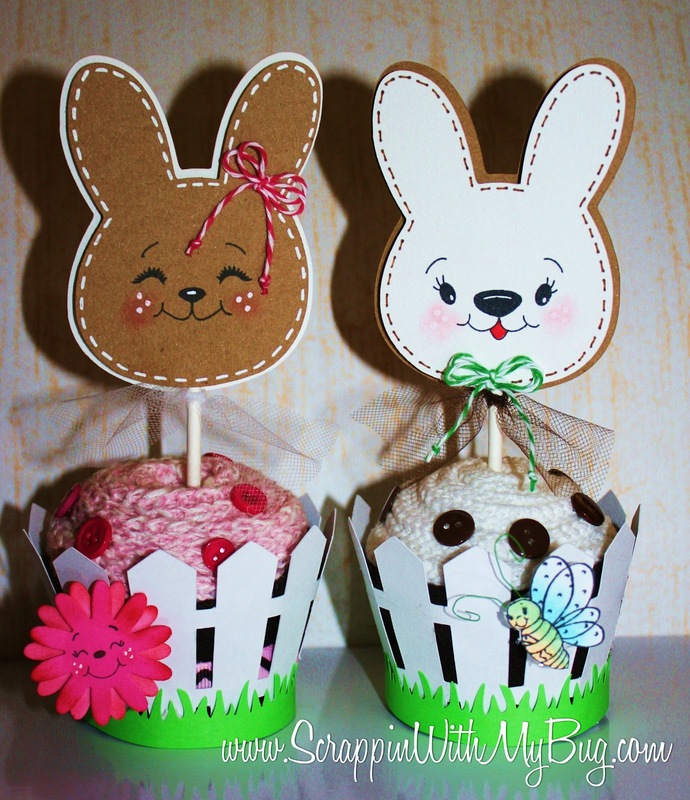 So I created some cupcake toppers and wraps for you! For the toppers I used Doodlecharms Cricut cart, and the Peachy Keen XL Critter Faces. 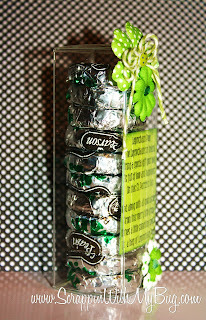 For the wrappers my friend Ruthie created me a picket fence SVG file so I could execute my vision...LOL So thank you Ruthie I so appreciate it!!!! Dont forget to link up your Peachy Keen project this week !!!!! I wanted to share a card I created with embellishments from Pro 31 designs. 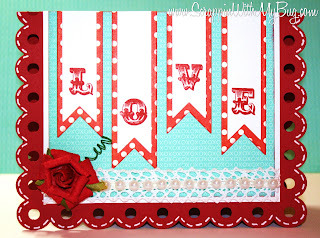 I used the flag die from Jaded Blossom and a stamp from their stamp set Valentine Treats. 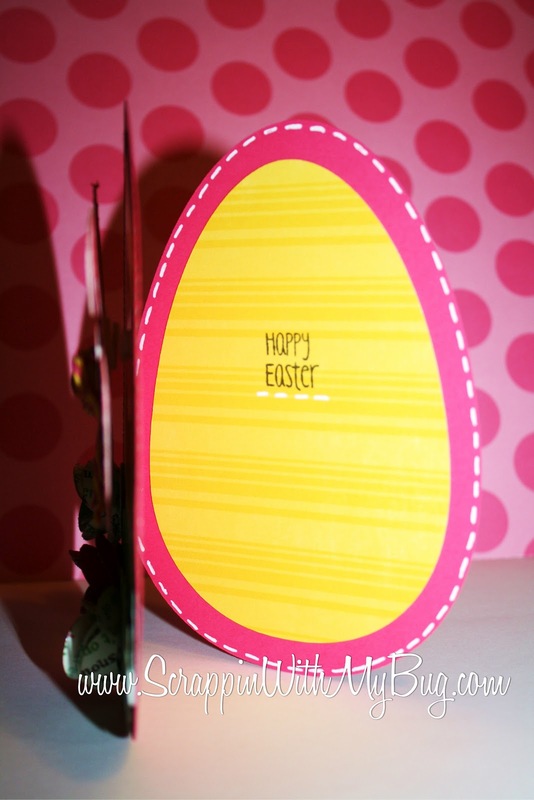 I also used a My Scrap Chick file for the card base. Thanks so much for stoppin by !!!!! Over at Jaded Blossom they have NEW challenge today to create something using mostly green. 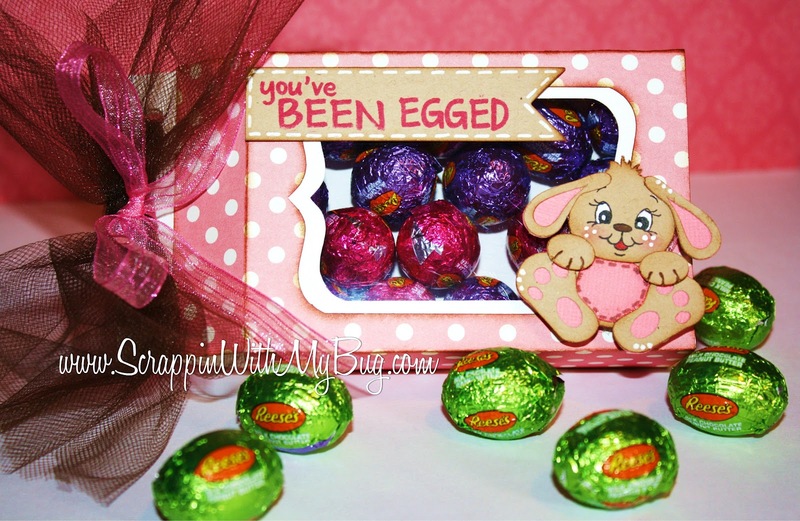 It doesn't have to be St.Patrick themed but I did anyway ! I made cupcake toppers using the NEW flag die from Jaded Blossom and their new stamp set "Food & Drink"
I also used Elegant Edges and Designers Calendar Cricut cartridges. For the base I used a Silhouette file and the "Luck of the Irish" set to create my own patterned paper. 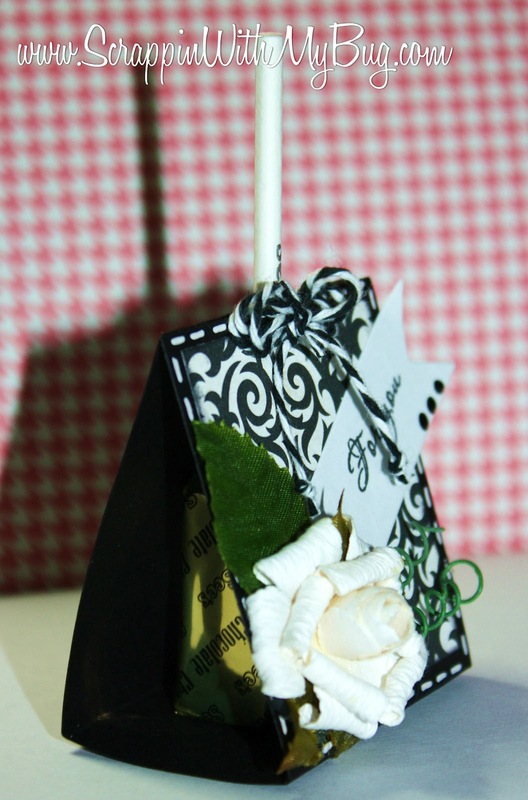 Then embellished with twine. 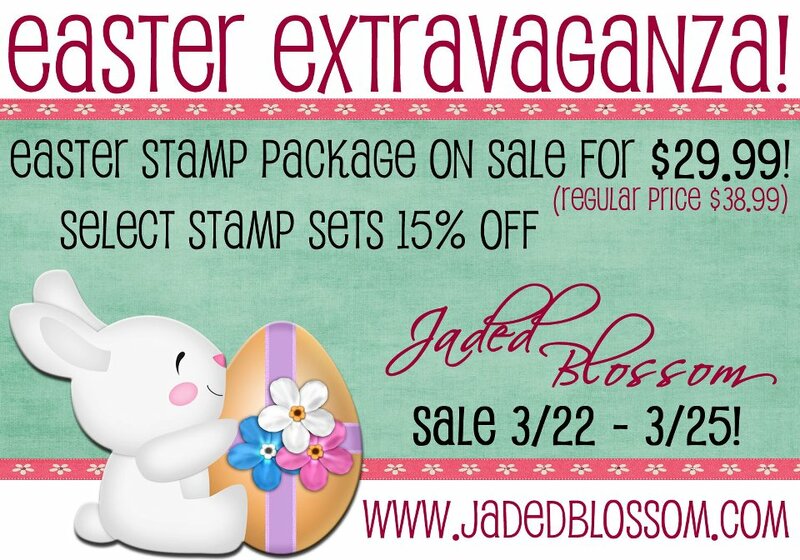 Head on over to Jaded Blossom and play along you have 2 weeks to create something !!! Jaded Blossom Mini Release and Hop! So by now you have seen the fabulous NEW die, stamps and paper straws from Jaded Blossom. I want to share with you a few projects I made with them. 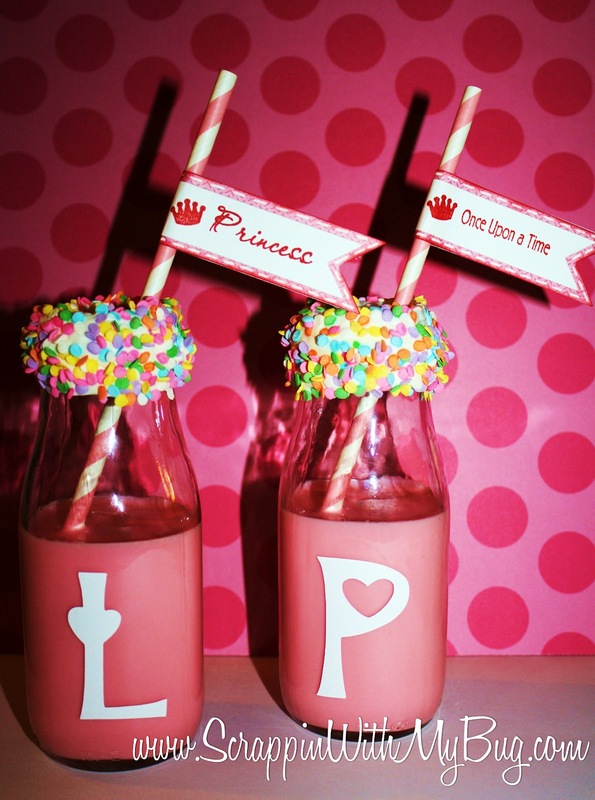 I re purposed frappuchino bottles, washed them and peeled off the labels. Then I dipped the top in white chocolate and rolled in sprinkles. I used Rock Princess Cricut cart to cut out the first letter of the girl's names in outdoor vinyl. Filled with strawberry milk and added the straw with the flag die !!! 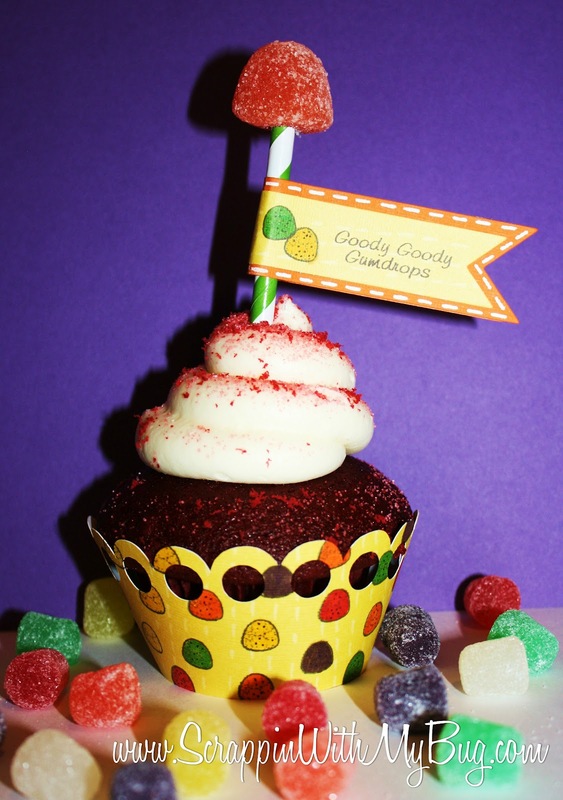 I created the cupcake wrap with the gumdrop stamp from this stamp set, copics and a silhouette cut file. 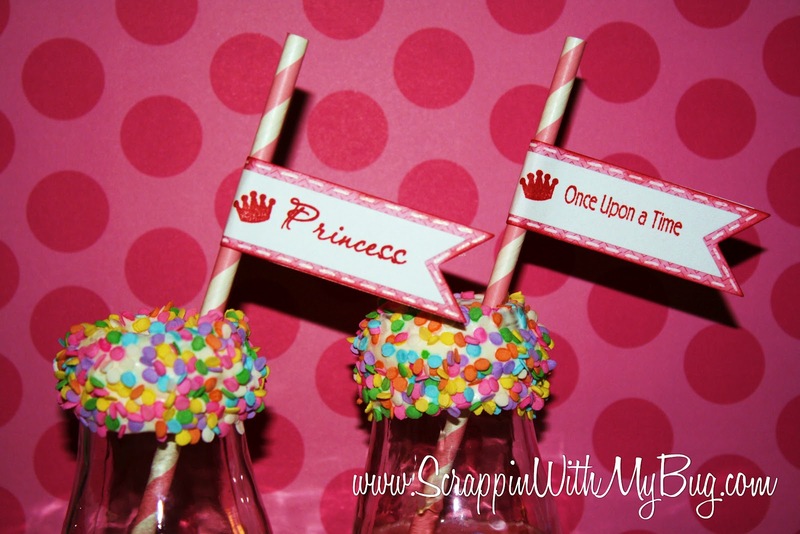 Dont forget to leave comments on all the blogs to enter to win the Princess Party Cricut cart and the Echo Park paper !!!! Are ya ready to shop? Heres the link !!! Thanks sooooo much for hoppin with us !! !